If you have been looking for opportunities to get closer to God, this weekend is the time to do it! 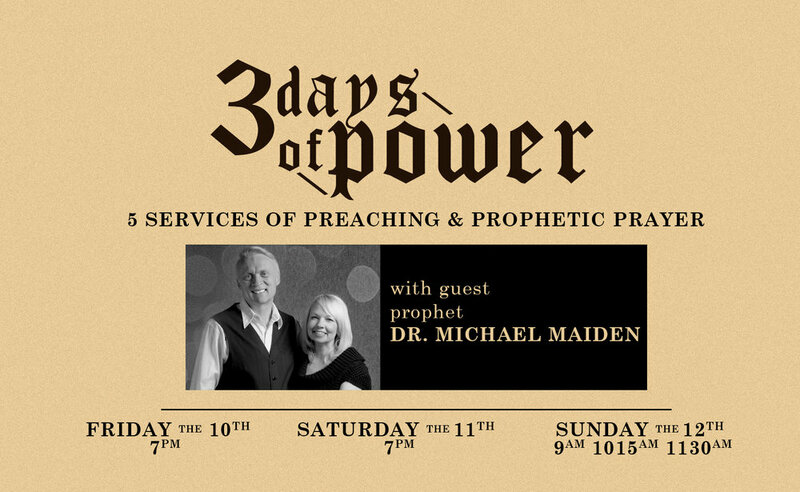 Join us for 5 separate sessions with guest prophet, Dr. Michael Maiden. Get ready to encounter God through powerful worship, prophecy, prayer and amazing messages! These are the kinds of moments where your life can change forever. Come with an open heart and we believe you will not be disappointed!